Art museums, originally conceived as places for collecting, conserving and displaying visual art objects in the late 18th century, have started to host sounding art, such as sound art, video art or installation art, in the 1960s. Ever since, they are confronted with a variety of problems including overlapping sounds and noise nuisance, which art curators often try to tackle by using soundproof black boxes or headphone-based listening stations. These may undermine the experiential quality of the artworks, however. 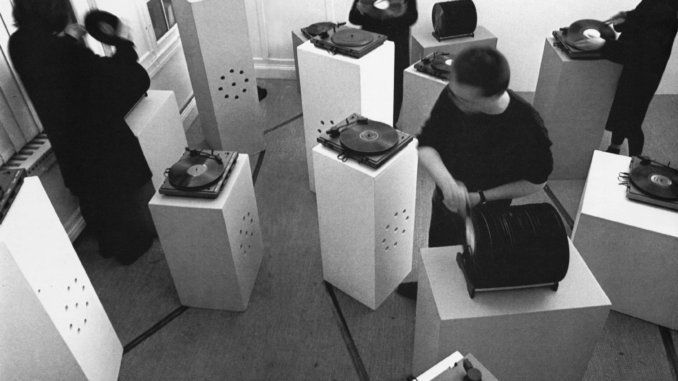 This project examines how the rise of sound art in art museums in Germany and the United States (1960-now) has challenged existing curatorial strategies by asking: What aesthetic-experiential and technological challenges have artists felt faced with when positioning their sound works in a museum context? How have curators dealt with artists’ conceptions of sound art, the everyday reality of the museum, and the technologies available? How have museum visitors experienced and evaluated sound art works? How can the answers to these questions inform new curatorial strategies for displaying sound art? On the boundaries of Museum Studies, Art History/Theory, Cultural Sociology, Sensory Studies, and Science and Technology Studies (STS), this project strives to answer the above-mentioned questions by means of observations and interviews drawing on sensory ethnography, content analysis of work documentations, exhibition catalogues, museum archives and visitor books as well as curatorial workshops and experiments. Theoretically, this project draws on notions such as the listening habitus from Cultural Sociology, performativity as developed in Art Theory and affordances as read in STS. Academically, this approach is meant to make the artworks from the discipline of Art History/Theory meet the visitor from Museum Studies.